Wit & Whimsy Movie Night at Wit & Whimsy! 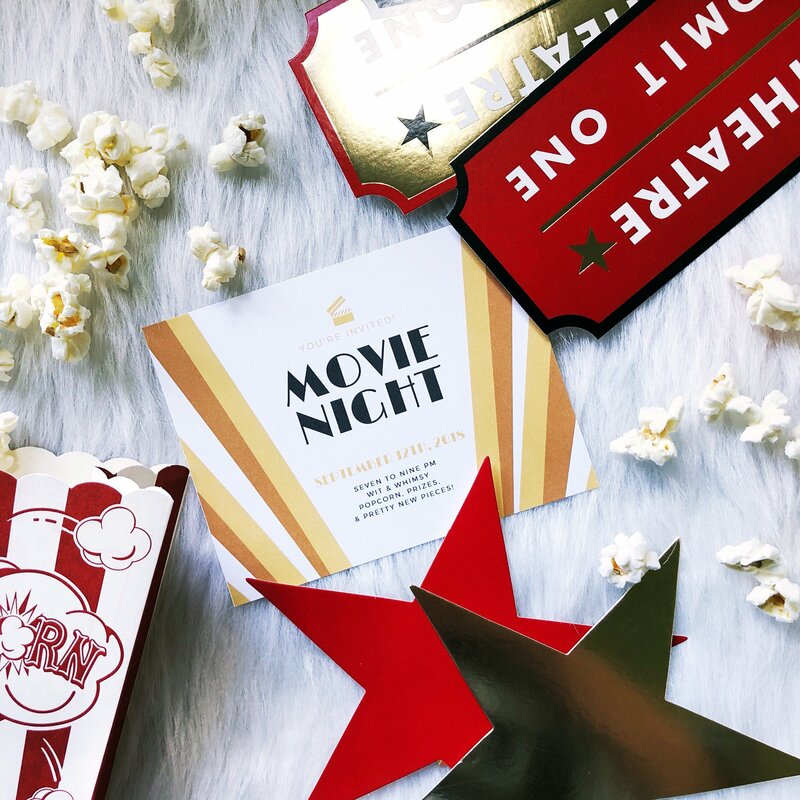 You're invited to a night at the movies...with us! Join the fun Wednesday, September 12th from 7pm-9pm for a much needed night out! There will be popcorn, prizes, and pretty new arrivals debuting at the event! We're celebrating Fall with lots and lots and lots of gorgeous new arrivals--including the debut of extended sizing and some scent-scational new lines! Watch the video here to learn more! To top it off there's sips, snacks, and lots of giveaways! I look forward to seeing you there! RSVP here for your chance to win a $15 gift card! Winner will be drawn at random after the event regardless of the response--but we do hope you'll come! You don't want to miss this...we look forward to seeing you there! !